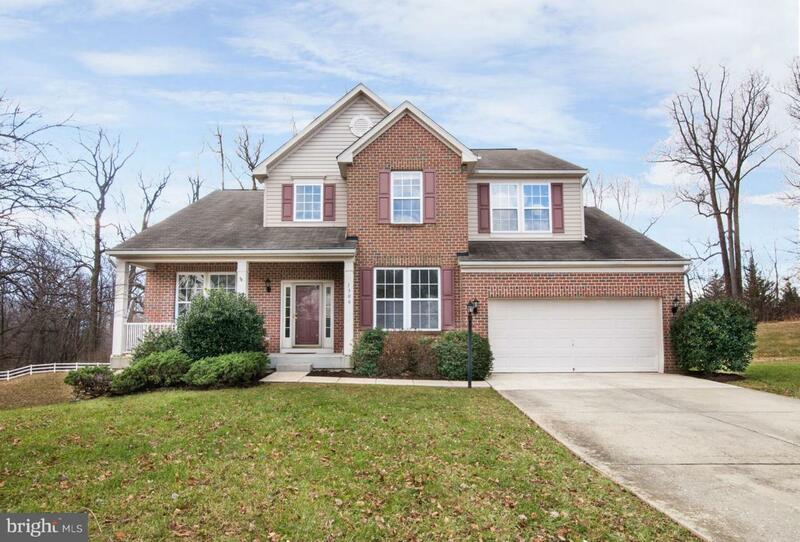 NEWLY RENOVATED 4 BED/3.5 BATH BRICK FRONT COLONIAL IN STONE RIDGE. UPDATES INCLUDE; STAINLESS STEEL APPLIANCES, WASHER/DRYER, REFINISHED HARDWOODS FLOORS THROUGHOUT, CARPET, BATHROOMS AND SO MUCH MORE. FEATURES MASTER SUITE , MAIN LEVEL LAUNDRY, GAS FIREPLACE IN FAMILY ROOM, TREX DECK OFF REAR, CORIAN COUNTERS, MAIN LEVEL OFFICE. FULLY FINISHED LOWER LEVEL WITH FULL BATH. A TRUE MUST SEE. WON~T LAST! Inclusions Dishwasher Stove Microwave Refrigerator Washer Dryer Extra Refrigerator Ceiling Fans Blinds.